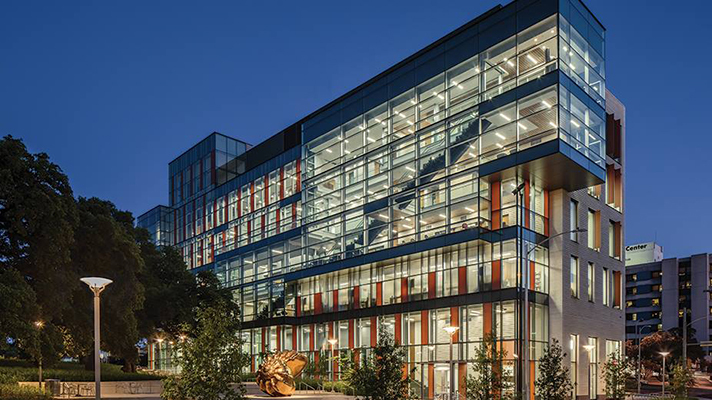 Dell Medical School at The University of Texas at Austin announced its new Biomedical Data Science Hub to help solve an array of complex clinical challenges. At Dell Med, scientists curate health data from an array of sources, clinical and nonclinical, that are often scattered, officials note, sometimes making research more time-consuming. The university's Biomedical Data Science Hub will help clinicians use that data more efficiently and effectively. "To increase the pace of innovation in health, high-quality data needs to be ubiquitous and analysis much richer, and that’s what we’re trying to achieve with the data hub," said Clay Johnston, MD, dean of the Dell Medical School. As researchers look for new ways to treat chronic conditions and manage population health, the data hub will help them manage their analytics efforts, and help them identify other resources at UT Austin that could help them more efficiently inform clinical practice and public health. The hub's team of computer and data scientist will collaborate with UT Austin and across the University of Texas system, officials said, including Cockrell School of Engineering, the College of Natural Sciences, the College of Liberal Arts, the Texas Advanced Computing Center, the LBJ School of Public Affairs and the UTHealth School of Public Health working to innovate analytics approaches to clinical and nonclinical health data. "The Biomedical Data Science Hub is the next natural component to complement Dell Med’s data core, because that’s how we will be able to target the right problems with the right approaches and know whether the improvements made are actually working for individuals and the community as a whole," said Bill Tierney, MD, chair of Dell Med’s Department of Population Health. Paul Rathouz, a quantitative scientist, will serve as the founding director of the Biomedical Data Science Hub and as a professor in the Department of Population Health. He said the new initiative would help the school make the "study and advancement of human health, health care and preventive medicine a fully evidence-based and data-driven endeavor." Rathouz previously worked at the University of Wisconsin-Madison’s School of Medicine and Public Health, where he served as the chair of the Department of Biostatistics and Medical Informatics for eight years. Data, analytics and innovation will be among the topics speakers discuss at the upcoming HIMSS Big Data and Healthcare Analytics Forum, slated for Oct. 22-23 in Boston.